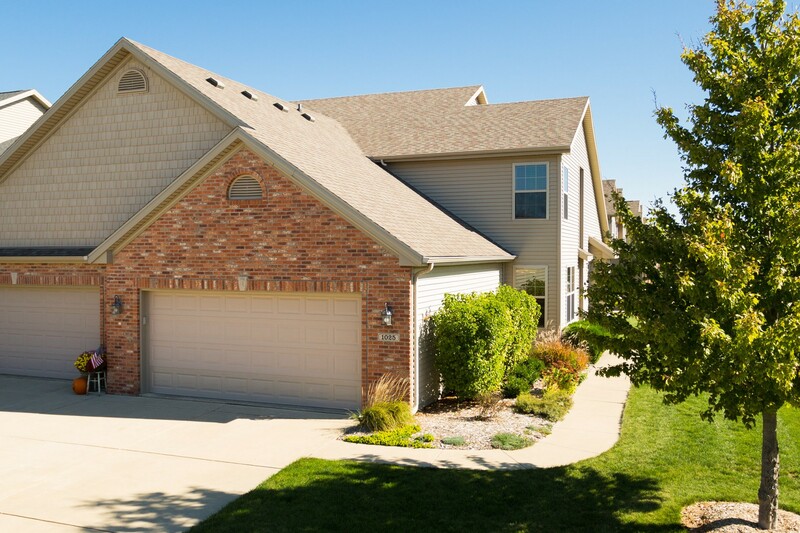 Spotless 1.5 Story in Harvest Pointe Subdivision! 3 Bedrooms and 3 1/2 Baths. First floor master with dual vanity and shower suite, and large walk-in closet with shelving. Laundry also on first floor along with half bath, great sized updated eat-in kitchen with tiled floor and nice living room with cathedral ceilings! The gas fireplace will keep you warm all fall and winter long. Upstairs you’ll find a large landing for office space, sitting room, etc. two great sized bedrooms and a second full bath. Basement is currently unfinished but offers great opportunity for 4th bedroom with it’s ALREADY finished 3rd full bath and egress window. Whole house humidifier and many closets throughout for storage. Patio outside sliding doors off living room and beautiful landscaping round out this fantastic property. 1025 Homestead, Bloomington IL 61705 has annual association dues of $120.00/year. Fences are allowed as long as they are within the setback guidelines.